Studio Athletica - Financial District Physiotherapy | Call Now, Direct Billing. Sometimes, finding a Financial District physiotherapy clinic to get you the results you need might be hard. So why is it that Studio Athletica consistently provides clients with these results? Studio Athletica consistently offers results for their physiotherapy clients. 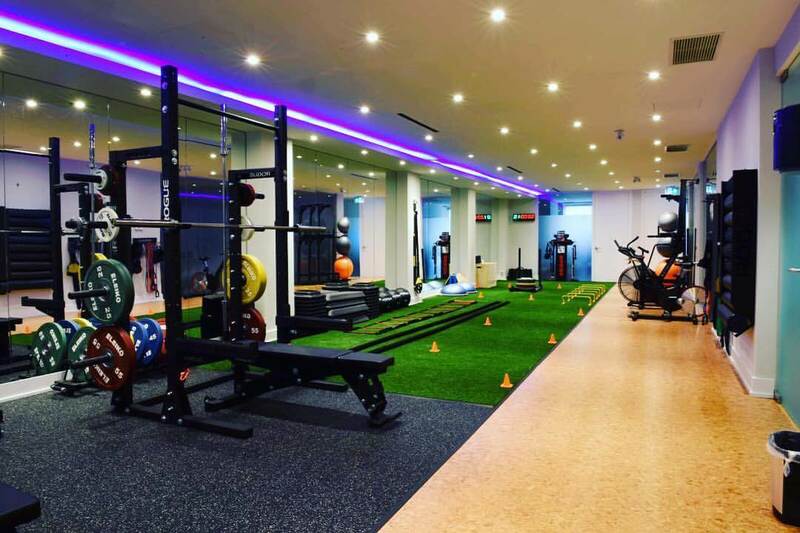 Studio Athletica treats many professional athletes as well as high profile clientele. Physiotherapy treatment in Financial District is all about getting a comprehensive assessment along with a customized program of care, in order to achieve your goals by the end of the plan. Sometimes, finding a Financial District physiotherapy clinic to get you the results you need might be hard. So why is it that Studio Athletica consistently provides clients with these results? LOOKING FOR THE GOLD STANDARD IN FINANCIAL DISTRICT PHYSIOTHERAPY? Do you want to enjoy moving pain-free and looking for a Financial District physiotherapy clinic? Maybe you want to play your favorite sport? Perhaps you want to run a marathon? Or maybe play an 18 hole of golf? How about just be active and spend time with friends or family? Unfortunately, it is common for people to experience aches, pains, or develop injuries. This is what might get someone looking for a Financial District physiotherapy clinic. When you stop doing what you love because of pain, it may result in loss of your confidence. Rather than the pain improving, it may make the process longer and more difficult. Most importantly, we understand this. So our center combines cutting-edge technology that is new for other Financial District physiotherapy clinics. It also integrates medical specialists, rehab specialists and performance trainers. WHY CHOOSE US AS A FINANCIAL DISTRICT PHYSIOTHERAPY CLINIC? So before you want to work with us as a Financial District physiotherapy clinic, what makes us cutting edge? For one, our center. In addition, some of our equipment may only be found in research labs and hospitals. Furthermore, our physiotherapists work alongside Medical specialists. These specialists include an Orthopaedic Surgeon, Interventional Radiologist, and Pain Medicine. Hence this why everyone considers us a leader when it comes to the Financial District physiotherapy clinics. In the end, our Financial District physiotherapists focus on four important parts. The first is to reduce pain. Secondly, it is to increase mobility and strength. Followed by preventing of any other injury. Lastly, the end is to max performance and get max function. Above all, we use a scientifically based treatment to treat the body. Together with trainers, certified strength and conditioning coaches; we apply scientific knowledge to train the body. WHAT IS THE PRICE? DO YOU DIRECT BILL? The price for an initial consultation is $95.00, follow-ups $95.00 for 30 mins, and $125.00 and we provide direct billing.